Despite the somewhat rundown, seedy feel of Omonoia today, for all of the 19th century and a good part of the 20th the neighborhood was the real center of downtown Athens. 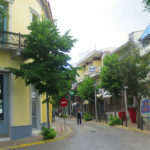 “No one lives in Athens if he does not spend at least one hour a day in the Hafteia,” wrote the famous writer and playwright Gregorios Xenopoulos in 1913, referring to the blocks around the intersection of Aiolou and Stadiou Streets, so named allegedly after a 19th-century café in the area owned by a Mr. Haftas. The area was a commercial hub, filled with stores, coffee and sweet shops and hotels. It was a place where people would come to shop and while away the day or the evening. 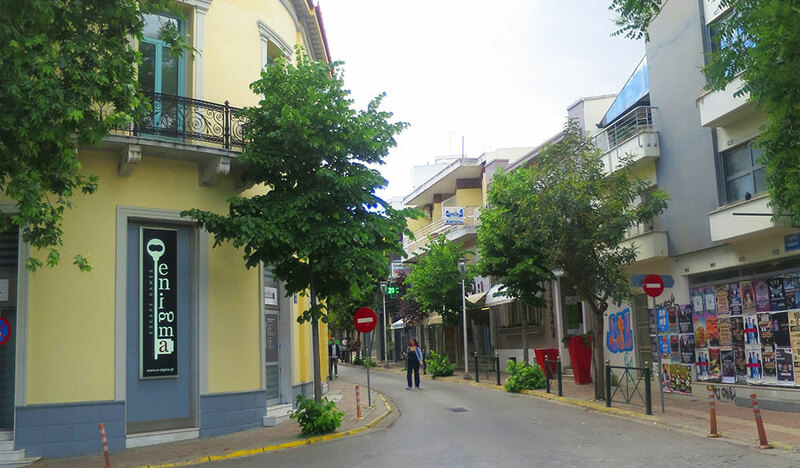 Given its popularity, it’s no surprise that Athens’ first large department stores, like Lambropoulos and Katrantzos Sport, opened here in the early 20th century. In the interwar period, a subway station was built in Omonoia and gradually the whole area was modernized, with tall office buildings going up in the 1950s and 60s. The first blow to the neighborhood in the early 1980’s, when anti-capitalist leftist groups firebombed several of the large department stores in the area, leaving them gutted. Katrantzos’ building actually collapsed after it was attacked, and the open space it left behind can still be seen on the corner opposite Notos Galleries on Aiolou Street. The economic recession of the 1990s brought further decline and Omonoia Square became a hangout for junkies and drug dealers, with a reputation for being a dangerous place, especially after sunset. Nowadays the area’s buildings are mostly filled with lawyers’ offices (Athens’ District Court was, until recently, located nearby). Otherwise, many of them are empty and the shops at street level are either small businesses struggling to survive or large, faceless chains. 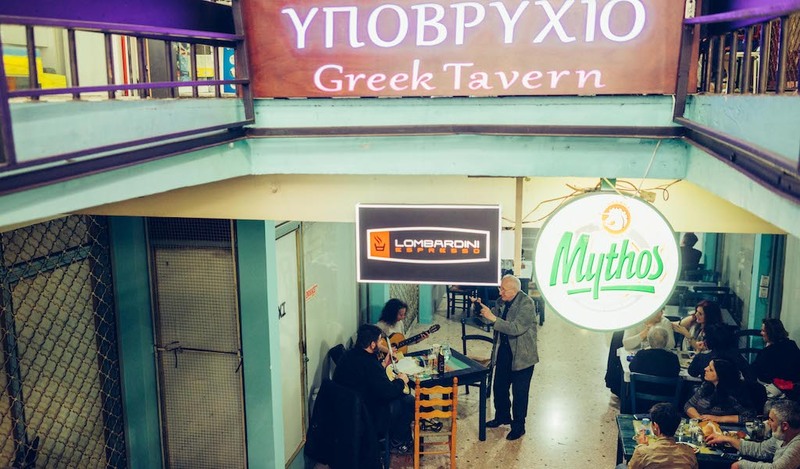 It’s true that the arcade is a little rough around the edges and the steep stairs leading down to Ypovrichio (the name means “submarine” in English) can seem a bit dangerous, but the ramshackle structure is more charming than dingy. Inside the lively restaurant there are hand-painted blue tables, neon lights and old nautical instruments; they give the place a charming aura that, true to its name, brings to mind an old ship. 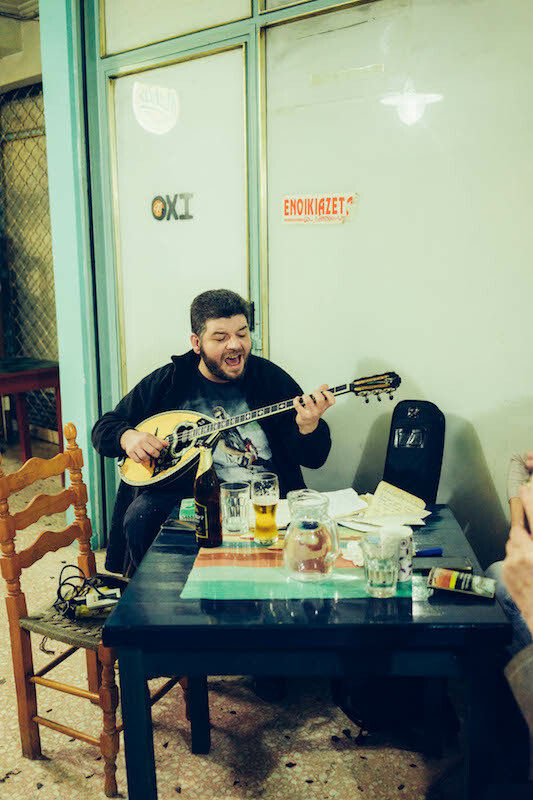 On busy nights, tables spill out from the little restaurant, bringing the faded arcade to life with the sound of diners’ conversation and even the occasional impromptu jam session of traditional Greek music. Milen is from the medieval city of Veliko Tarnovo in Bulgaria and came to Greece 17 years ago “by accident,” as he explained to us, declining to say anything more. Together with his Greek wife, Antonia, he owned a taverna in Korydallos, a suburb west of Athens, prior to opening Ypovrichio. 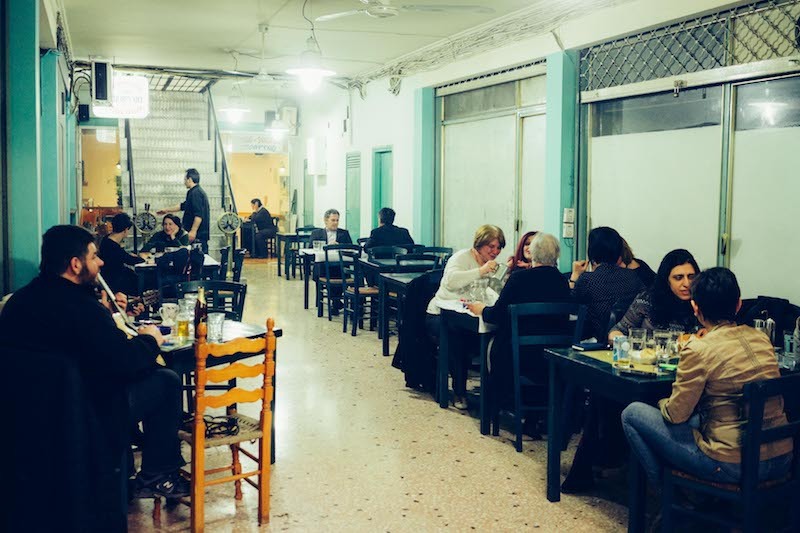 It was a very large place, and when the financial crisis hit in 2010, running the taverna began to bleed them dry. Instead of lowering the quality of the food, they decided to downsize. “There is no way to offer good quality food these days if you do not cut expenses and waste,” says Milen. 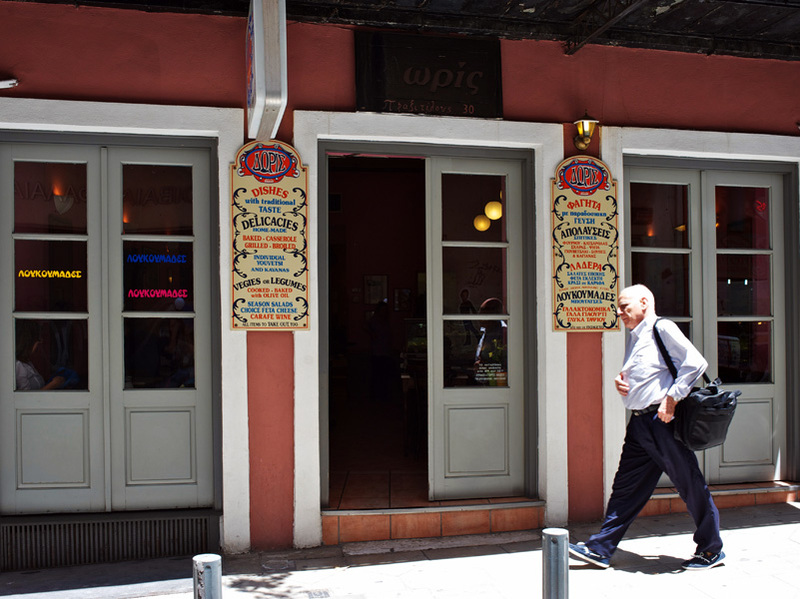 His words certainly ring true: the recession has seen the downfall of many eateries in Athens, which either closed or gradually began to offer food that was not up to standard. The regulars are of course people from the nearby offices, who either dine in or take out. 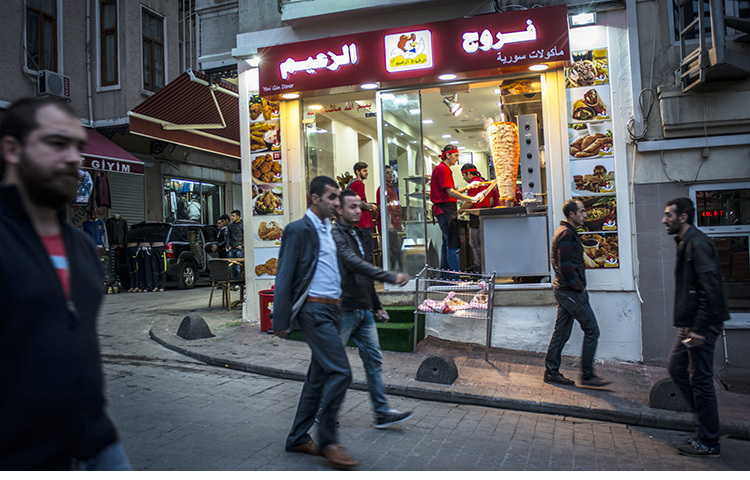 The restaurant also delivers food, if necessary, within a 600-meter radius. 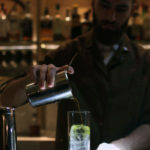 “We also cater for special requests,” Antonia tells us. “We have customers who sometimes ask for a specific dish and we always make it for them.” It’s no wonder that they inspire such loyalty. When we start our meal, the first thing that catches our attention is the deep yellow color of the tsipouro (Greece’s version of grappa) that Ypovrichio serves. Milen ages it himself in small barrels, which gives it the distinct dark yellow color and vanilla-honey flavor. As the food arrives on the table there is no doubt that he is also a talented cook. The pork tenderloin and the sardines are perfectly grilled and extremely fresh. The baked giant beans are also outstanding, as is the eggplant salad, which, like so many other things here, is made from scratch, in this case using eggplants that are grilled on the premises. “We usually make our own sausage, but we ran out,” Antonia tells us apologetically. Sometimes a little bit of Bulgarian flair makes its way to the dishes. For example, Milen makes the traditional fassolada (bean soup) with spearmint instead of celery, as “it helps digestion.” He also prepares a béchamel the Bulgarian way, with egg yolks and yogurt, which makes for a particularly thick and comforting sauce. 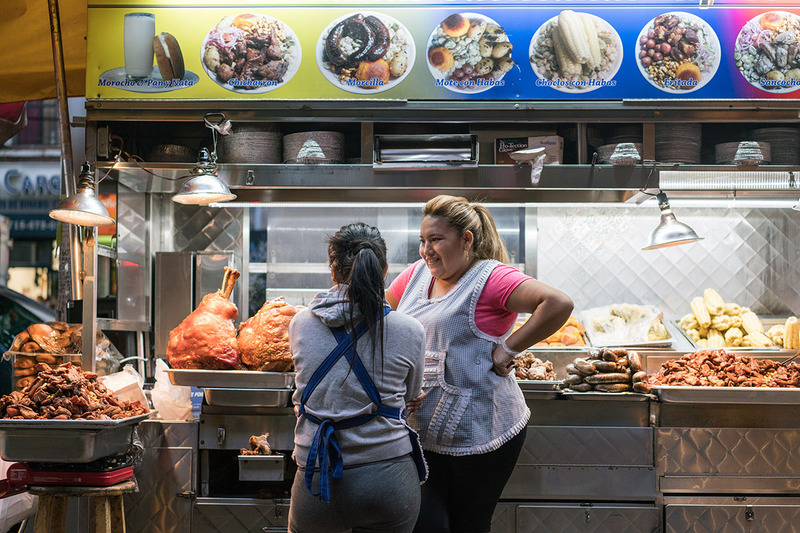 As we continue our conversation, Milen and Antonia share their concerns about nearby supermarket chains offering cheap cooked dishes. 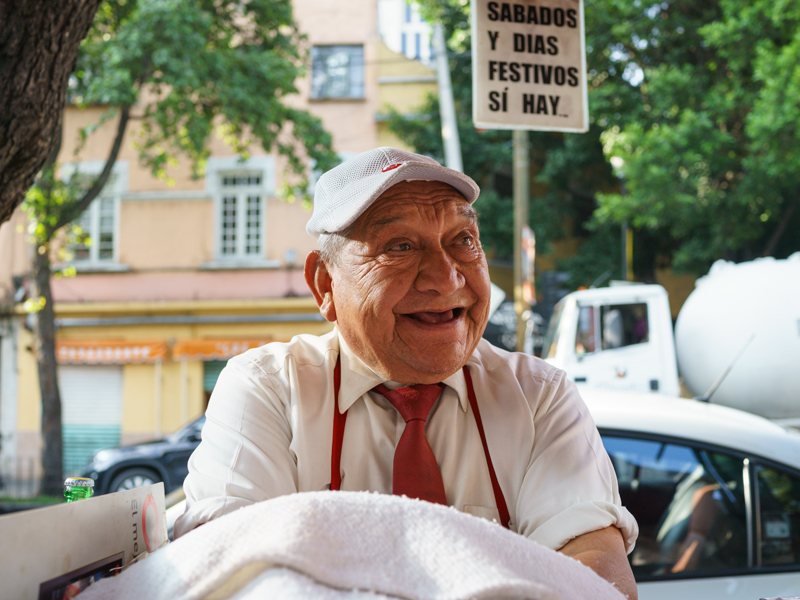 “We are the only mageirio in the neighborhood, but we could have double the business if two supermarkets that opened recently did not offer such cheap food. We cannot match their prices, as everything here is fresh and made by hand,” says Milen. Despite the fact that the recession has led to tighter budgets, recent years have seen a rise in ready-made food sold at supermarkets. While nobody expects excellent quality from mass-produced, frozen food, the prices are hard to resist. With portions starting as low as 3 euros, it’s no wonder many customers choose to buy a meal or two at the same place where they do their grocery shopping. Ypovrichio certainly tries to make things convenient as well. It is officially open from 8:30 in the morning till 8:30 in the evening, but times are flexible. They will never turn away a customer even if the kitchen has closed. They also take reservations, either online (through Facebook) or by phone, and cater for special dietary needs, if they know in advance. 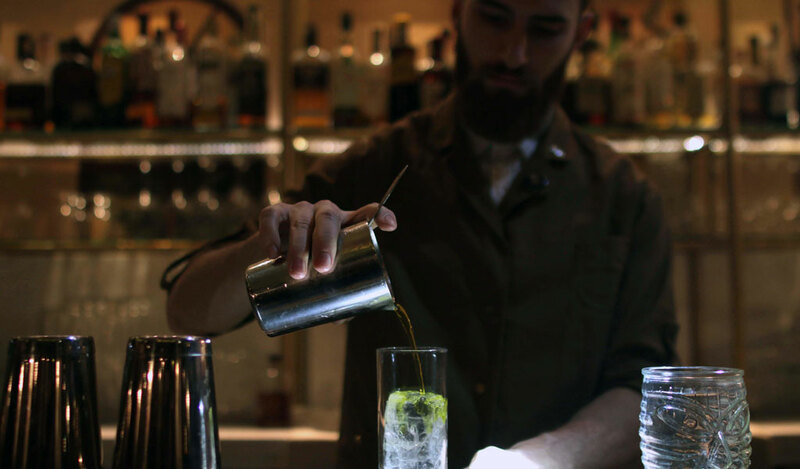 “We try to offer personal service, as this sets us apart,” says Antonia. Try getting that in the supermarket.